Lots of things are happening in Austin, every week I collect all the news from the previous week and a list of upcoming events and it surprises me the amount of things going on in Austin, TX related to the tech and startup communities. If you are not attending at least some of the networking events, meetups, workshops, parties, and the like in a weekly basis then you are missing out. Getting out there and meeting people and startups is the best way to get the job you want, or find the right person to partner with to start your own company, but you have to get out there! Microinverter developer SolarBridge Technologies Inc. has appointed former SunPower Corp. executive Bill Mulligan as president and CEO. The Austin-based company announced Friday that Mulligan is replacing Ron Van Dell, who will continue as a SolarBridge adviser. SolarBridge, which was founded in 2004 as SmartSpark Energy Systems Inc., develops a microinverter designed to increase solar panel efficiency. It employed 60 workers last year. The Greater Austin Chamber of Commerce and South by Southwest Interactive announced the2013 Austin A-List, compiled with insight from venture capital, private equity and angel investors from around the country. The 19 members of the 2013 A-List represent key sectors of innovation including life sciences, business analytics, mobile and lifestyle applications. Recognition as an A-List Company is intended to increase the visibility of Austin’s great regional technology startups. Members of the 2012 A-List have received a combined $57.7 million in investment since its announcement in October. As with 2012, The Chamber’s Tech Partnership called on investors for their shortlist of companies they deemed eligible for inclusion on the A-List. 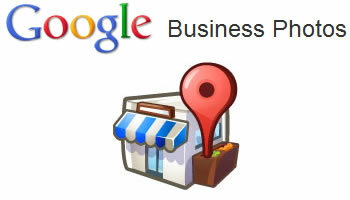 Ever wish you could check out a business before actually giving them your business? That time has arrived. Austin was the test market for Google Business Photos, a concept that’s really taking off. “Everybody has the dream of flying and we make that a reality,” said Stuart Wallock, Chief Marketing Officer for iFLY Indoor Skydiving. This Austin based company opened its high-tech indoor wind tunnel in January in Northwest Austin. Its 25th location open just last week in the United Kingdom. The ability to reach potential customers at home is why iFLY has signed on with Google’s Business Photos. Austin-based online car rental service Silvercar has expanded its services, saying this week that it has begun taking reservations for Houston Hobby. The addition of Houston means that the service now has operations in four airports, including Houston Hobby, DFW, Love Field, and Austin. Silvercar says it has a “not-so-standard” rental car service, driven by a web and smartphone reservation system–and a single model of car (Audi A4), fully outfitted with a navigation system, in-car Wi-Fi, satellite radio, and free toll tracking. Silvercar’s rates start at $75/day on weekdays and $50/day on weekends. The startup is backed by Austin Ventures, CrunchFund, SV Angel, and angels Chris Dixon and Dave Morin. 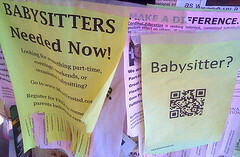 The popular babysitting tool for the urban set, UrbanSitter.com, is looking to expand into some new cities. Though still not profitable, the company is generating income, expecting to pull in a scant $3 million this year after offering their services virtually for free last year. 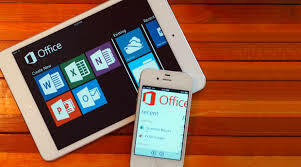 The wait is over for the iPhone version of Microsoft’s Office software. With the free app, users can quickly and easily edit, save and share documents on the go. But there’s a catch: You have to be an Office 365 subscriber to use it. And the mobile version is so bare bones, it might not do much to attract new subscribers. The new iPhone app will make a lot of people happy. Many Office users have been clamoring for a mobile version for some time. And while companies such as Google and Apple make comparable versions of the software, you sometimes lose formatting and other details when working with Office files on those programs. Microsoft promises to keep more of those properties intact with the new app. The entrepreneur’s reality began to warp as the pitch competition took on a Shark Tank feel. The entrepreneur made an introductory joke…nobody got it. Then the investors began asking more and more personal questions. Nobody would really ask those kinds of questions would they? Soon it was clear, this was a pitch nightmare come true. That is a scene out of Funemployment, a movie being made in Austin about the Austinstartup culture. The film will begin the casting process June 27 and July 2. Some roles will be paid, others are strictly volunteer. 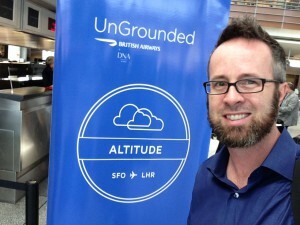 When Whurley of Chaotic Moon learned he was one of 100 innovators chosen to participate in British Airways Ungrounded, an 11-hour hack over the Atlantic Ocean to find a solution to the problem of unbalanced STEM in the world, he said “I literally almost cried.” Imagine what would have happened if he’d known his team—Team Altitude– was going to win, that their idea would be presented at the (DNA) Decide Now Act Summit as well as the G8 Innovation Conference preceding the G8, and that the Secretary General of the International Telecommunication Union would make a video talking about Whurley’s team’s solution. Ungrounded Thinking was British Airway’s idea, to put 100 innovators on a plane from San Francisco to London in teams, each of which was asked to solve a problem around STEM: How to meet the growing demand for STEM workers; how to use global pools to meet the U.S. demand; how to grow STEM in emerging economies and Team Altitude’s problem—How to foster STEM among women. 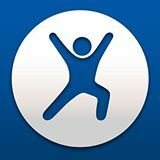 Exercise software maker MapMyFitness Inc. has raised $5 million in funding from a lone investor, the Austin Business Journal reported according to the company’s Tuesday filingwith the U.S. Securities and Exchange Commission. The Austin-based company was founded in 2007 to develop location-based apps that give users a way to track their exercise progress and share workout plans. MapMyFitness got its start in Denver but moved to Austin in 2010 after raising $5 million financing from Austin Ventures LP. Note: Did you like this? Share it with a friend!